Service includes: Once a week pick up at the curb. We provide one 96 gal can at no charge. In addition to our 96 gal container, you are allowed to sit out another two 33 gal cans. You are also allowed to sit out 1 large item* free of charge each month just as long as you call the item into the office before your pick-up day. Please see the Bulk item section below for additional information. A second can is available at an additional charge. Per Jefferson County Ordinance, Yard waste can not be mixed with regular trash. See the yard waste service section for more information regarding our yard waste removal service. Hometown Hauling offers back door service for elderly or disabled customers. For an extra fee, our drivers will come up to your house and retrieve your can. Service is limited to one 96 gallon can. Hometown Hauling reserves the right to refuse backdoor service on certain roads which are too busy or congested due to safety issues. Call the office for more information. Call at least a day in advance when it is needed. Examples: sofa, chair, table, washer, dryer, stove, dishwasher, grill… etc. Large items are not taken while on Holiday schedule. Mattresses/Box Springs need to be individually wrapped in plastic and sealed with tape. We are no longer picking up TVs due to the landfills refusal to take them. Please call 311 for more information regarding Television disposal. Service includes once a week pick– up of up to 12 bags or bundles. 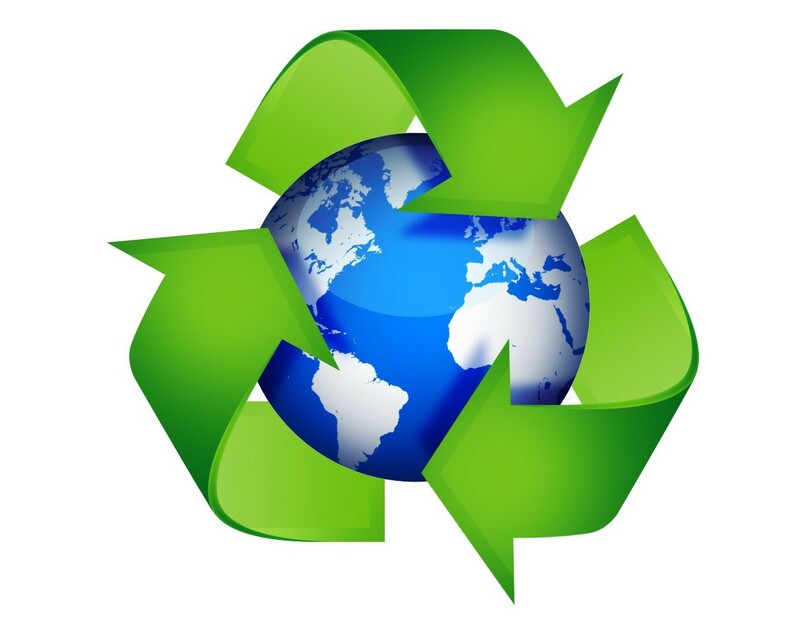 We can accept leaves, grass clippings, sticks, & weeds in either cans or paper lawn waste bags. Sticks/limbs must be cut down into 4 foot lengths and no thicker than 2 inches in diameter. All sticks not in cans or bags must be bundled together and not exceed a weight of 40 pounds. We ask that personal containers not weigh more than 40 pounds when filled. We have two seasons. 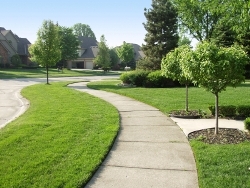 Spring Yard Waste is April-July, and Fall Yard Waste is August thru the first week of December. Containers to hold yard waste include paper lawn bags and compostable bags, personal 33 gallon containers, or our 96 gallon totes. Items do not have to be separated. Please set items out Monday night or at the very least by 5AM Tuesday morning. 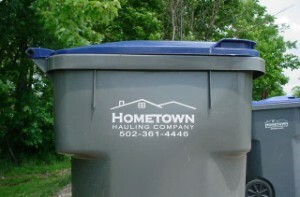 Hometown now provides a 96 gal recycling receptacle.